Dering Hall professionals are the best at their craft—from interior design, to architecture, to landscape design. They continuously push the boundaries with daring work that redefines the field. 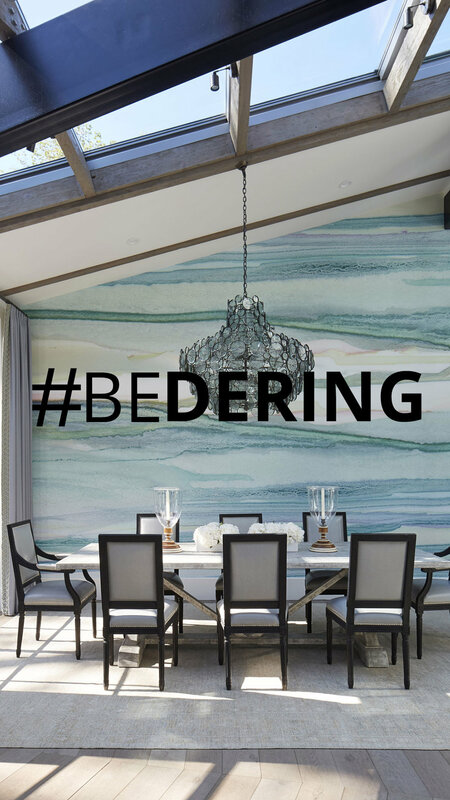 Next time when posting a new project, make sure to use the hashtag #BeDering to discover, organize and connect with bold, inspiring creatives in the design community. While Dering Hall members are our number one priority, we encourage anyone and everyone to participate and be a part of this growing design community. We will be featuring and reposting our hashtag favorites from the week prior, so be sure to follow Dering Hall on Instagram to keep up with the latest in design.